Smith’s beautiful natural setting offers 140 acres to explore and 100 buildings boasting a variety of architectural styles. Famed Central Park designer Frederick Law Olmstead created a campus layout with numerous gardens and open spaces, with welcoming, curving pathways on which to wander and contemplate. 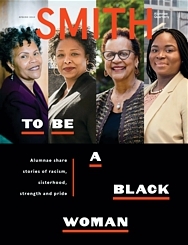 The strong sense of place at Smith keeps alumnae forever connected to this special corner of the world. Here, alumnae share their thoughts about some of their favorite spots on campus.